It was in 1977, upon returning from postdoctoral training at Stanford University, that Dr Jacques Montplaisir established the Centre for the Study of Sleep at the Hôpital du Sacré-Coeur de Montréal. The Centre was then located on the 5th floor of the H wing of the hospital and had only one room for recording the sleep of patients and research volunteers. At that time, the staff included only the coordinator, Mrs Mireille Charron, who continues to perform this function today. The main research themes of the Centre were then narcolepsy and epilepsy. The first student obtaining a Ph.D. with Dr Jacques Montplaisir is Marie Laverdière, whom is now a teacher in medical electrophysiology techniques at the Collège Ahunstic. In the early 80's, the Centre expanded to include two rooms for polysomnographic recordings. In subsequent years, Drs Marie Dumont and Roger Godbout completed their doctoral dissertations under the direction of Dr. Montplaisir. Meanwhile, Mr Gaétan Poirier was completing his Masters degree in Neuroscience and was appointed research assistant and programmer. He has since continued to play a major role in software and technological development. In 1990, after returning from her postdoctoral training at Harvard University, Dre Marie Dumont founded the Chronobiology Laboratory. Roger Godbout pursued postdoctoral studies at McGill University and the College de France, Paris, and upon his return set out to investigate the links between sleep and psychiatric illnesses. He founded the animal sleep research laboratory at the Hôpital du Sacré-Coeur de Montréal and the Sleep Laboratory and Clinic at the Hôpital Rivière-des-Prairies. In 1988, two postdoctoral fellows, Dr Tore Nielsen and Dominique Lorrain, and one doctoral student, Dominique Petit, joined the Centre. Tore Nielsen founded the Dream and Nightmare Laboratory while Dominique Lorrain started a new sleep laboratory for research on the elderly at the University of Sherbrooke. 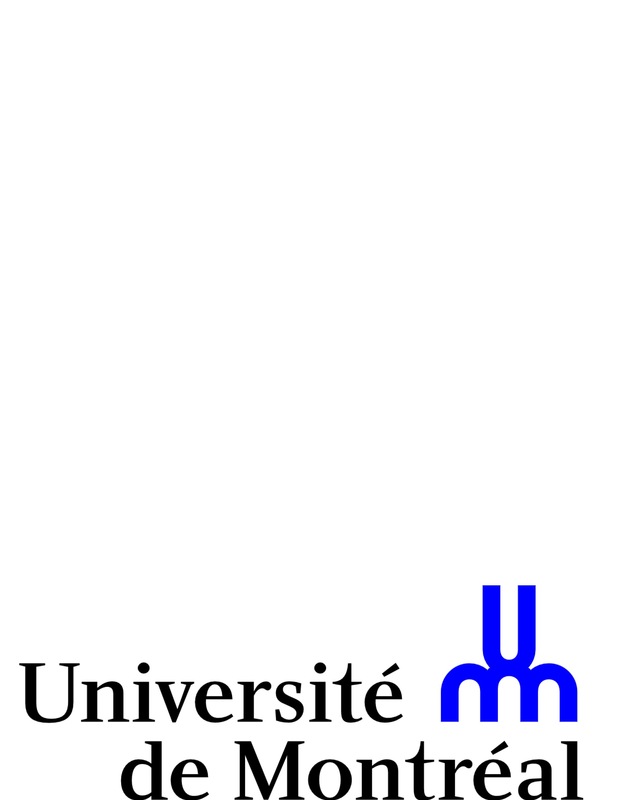 Dominique Petit now leads clinical research programs at the Hôpital du Sacré-Coeur de Montréal in collaboration with Dr Jacques Montplaisir. Back row (left to right): Gilles Lavigne, Jean Paquet, Paul Lespérance, Roger Godbout, Sonia Frenette, Martin Michaud, Raphaël Heinzer. Middle row (left to right): Gaétan Poirier, Lise Camiré (under her: Alain Nicolas et Anne Décary), Emilia Sforza, Micheline Beaumier, Mireille Charron, Chantale Simard and Nicole Roy. Front row (left to right): Anik Gosselin, Hélène Gaudreau, Sylvie Rompré, Francine Rivard, Brigitte Dubreuil, Christiane Manzini, Laure McCormick, Marie Dumont and Jacques Montplaisir. A little later, Dr Gilles Lavigne returning from a training course at the National Institutes of Health (NIH) joined the Centre and established a research program on bruxism and sleep-pain relationships. He later became the holder of the Canada Research Chair on Pain, Sleep and Traumatic Injuries. In 1995, researchers at the Centre received an important group grant from the Canadian Institutes of Health Research (then the Medical Research Council). This grant has played a vital role in the stabilization and growth of our infrastructure. In 1999, Dr Julie Carrier, who earned a doctorat in Psychology under the direction of Dr Marie Dumont, returned from postdoctoral training at the University of Pittsburgh and started a research program on sleep and aging. The newly named Center for Sleep and Biological Rhythms then moved to all new premises and benefited from fully refurbished laboratories equipped with cutting-edge technology. This part of the Centre occupies an area of 1000m2 on 5th floor of the J wing and includes the Sleep Medicine Laboratory (5 bedrooms), the Chronobiology Laboratory (3 temporal isolation rooms, one of which has a programmable light ceiling), and the Dream and Nightmare Laboratory (2 debrooms, 1 virtual reality room). In the 2000s, the Center recruited a cardiologist, Dr. Paola Lanfranchi, who developed a research program on cardiovascular function in normal and pathological sleep, Dr Antonio Zadra, who specializes in the study of dreams and somnambulism, and Dr Jean-Francois Gagnon, who studies cognitive disorders associated with parasomnias and sleep disorders in neurodegenerative diseases like Parkinson's disease and dementia of the Alzheimer type. In 2009 and 2010, the group welcomed two new researchers, Dr Valérie Mongrain, who established a laboratory to study the molecular regulation of sleep, and Dr Nadia Gosselin, specializing in the neuropsychology of sleep disorders, degenerative diseases and traumatic brain injury. In 2011, Dr Alex Desautels, a neurologist and researcher interested in the pathophysiology and genetic of sleep disorders, and Dr Louis De Beaumont, an expert in brain plasticity and traumatic brain injury. The group highlights the important contribution of Dr. Paola Lanfranchi to the study of the cardiovascular function during sleep, who left the CARSM in 2012. Finally, it is in 2014 that the last two members joined the group: Dr Johannes Frasnelli, specialized in pathology of the chemical sens such as smell and Dr Simon Warby who is specialized in genetic modifiers affecting human sleep. Details of our studies and systems explained by a researcher of the CARSM. In 2006, the Group obtained a grant of $5 million from the Canadian Foundation for Innovation (CFI) to build a new wing at the Hôpital du Sacré-Coeur de Montréal, with an area of 500m2, that is fully dedicated to research in sleep medicine. This new building, completed in 2010, is devoted among other things to studying the cerebral functioning following a traumatic brain injury. The new wing is equiped for the detailed study of the functioning of the autonomic nervous system during sleep and for photobiology. It also houses a laboratory for the study sleep apnea, an olfactive laboratory and a transcranial magnetic stimulation device, as well as a laboratory dedicated specifically to sleep-pain interactions led by Dr Gilles Lavigne. The new construction also houses a brain imaging scanner, which uses a new technology particularly well-suited to the sleeping subject: a high-resolution single photon emission computed tomography (HR SPECT) scanner. It was after these major developments that the Centre for Sleep and Biological Rhythms has changed its name to become the Centre for Advanced Research in Sleep Medicine (CARSM). Today, the CARSM is composed of 13 researchers (Montplaisir, Lavigne, Nielsen, Dumont, Carrier, Zadra, Gagnon, Gosselin, Mongrain, Desautels, De Beaumont, Frasnelli and Warby) and about forty research fellows and masters, doctoral and postdoctoral students. Since the opening of the Centre in 1977, more than one hundred graduate students have been trained and that number will continue to grow with the arrival of equally dynamic new researchers in the group. The research themes specified in the curricula of CARSM researchers are becoming more specialized, diverse and multidisciplinary. The different researchers and shared infrastructure continue to successfully promote collaborations between fields of expertise, to contribute to the advancement of knowledge about sleep medicine and thus allow the CARSM to maintain its position as a world leader in the study of normal and pathological sleep.